E! 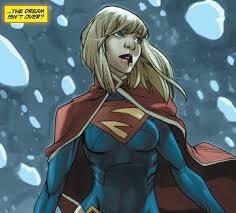 Online has confirmed the development of a Supergirl TV series. Yesterday, Bleeding Cool ran a report that Warner Bros. Television and DC Entertainment would be shopping around a Supergirl TV series – you can see our coverage of this at KryptonSite here. Now, E! Online has confirmed that a show is indeed being shopped around to several networks, but surprisingly, not The CW, who they say was first pitched the project. While a Supergirl TV series sounds like it could be fun, the latter factoid is a bit of a surprise, as a TV show with a young female protagonist would be exactly something The CW could need… though perhaps the worry is that it would conflict with Arrow, The Flash and that world. 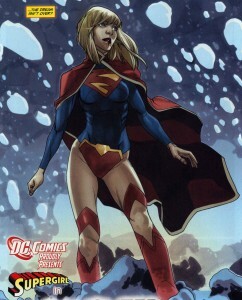 Although, beyond that we’re not 100% sure where a Supergirl series could properly go. ABC Family? MTV? Both of those networks are places that have embraced what The WB network used to be — the same network that brought Smallville to life. Possibly? Either way, we’re intrigued by the possibilities. If not on The CW, maybe there isn’t the thought of “would it conflict with the other shows.” But what about Man of Steel and the movie universe? Could there or would there be a tie-in? Talk about this development on our forum!